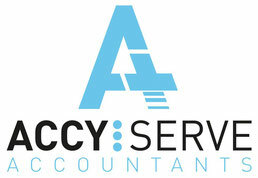 Non dom tax status - Website of accyserve! Labour have indicated they plan to abolish the non-domicile rule that allows some UK residents to limit tax paid on earnings outside the country. At the moment non doms pay a charge of at least £30,000 once they have been in the UK for at least seven years. A high profile example is Chelsea owner Roman Abramovich. The charge can be viewed as a 'membership fee' of UK plc. In the UK an individual is considered 'resident' in the country in which they permanently live or spend the majority of their time. This can change from year to year so tax residence can vary across the years. 'Domicile' is the not the same as 'residence' and the two are often confused. An individual is generally domiciled to their country of birth and HMRC view that this can only be altered when a person makes a deliberate choice to change. The position is further complicated by the general concept that an individual usually acquires the domicile status of their father. The statement 'tax doesn’t have to taxing' is pushed to the limit again and this is an area which is ripe for simplifying but co-operation is needed on a global basis.